Accepted media: "Acrylic, oils, watercolors, mixed media, pen and ink, charcoal, pastel, sculpture, etchings, monoprints. Photography and jewelry are not being accepted." 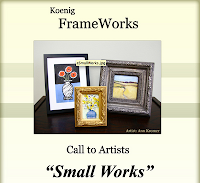 For full details, exact sizing and framing regulations, please see their website--entry information and an entry form are linked here as pdfs. Art must be for sale. The show will run from April 1 through April 23, and there will be an opening reception on Friday, April 1, from 6 - 8 pm. 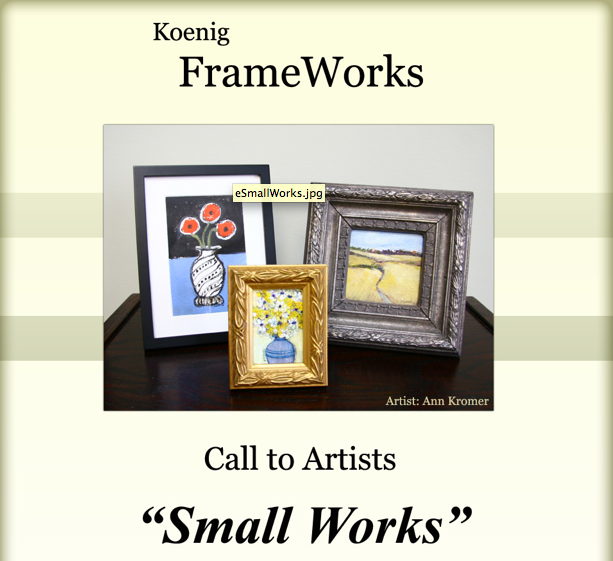 Koenig FrameWorks is located at 97 South Main St., Newtown, CT.